Click for Information on the Tuesday Oct. 22 Concert featuring the Harlem Chamber Players. On Monday, October 21, 2013 at 5pm in Room 754 of Schermerhorn Extension prior to the concert the Columbia’s Rare Books & Manuscript Library, Music Department and Office of Government & Community Affairs will sponsor a talk focusing on Ulysses Kay and the African American composer. The panel will be led by George Lewis, Stephen Case Professor of Music and include Jennifer Lee, Curator, Performing Arts, Rare Books & Manuscript Library, Courtney Bryan, composer and DMA candidate in composition at Columbia and Director of the Institute of Sacred Music at Bethany Baptist Church of Newark, NJ and Liz Player, co-founder and Artistic Director for Harlem Chamber Players. They will discuss Ulysses Kay’s role as an American composer in early 20th Century and his impact on other composers and African American composer in particular. This Ulysses Kay Concert is sponsored by the University Chaplain’s Office, Columbia University Rare Books & Manuscript Libraries, Columbia University’s Music Department and the Office of Government & Community Affairs. Michael Ryan, Head of Columbia’s Rare Books & Manuscript Library, at the time the Columbia received these works, commented, that Kay was “[a] prolific and important composer of contemporary symphonic, chamber, and choral music, Kay also wrote five operas, the most substantial and last of which, Jubilee (1976) and Frederick Douglass (1991), were based on themes from African-American history.” Ryan also noted that, “Kay was a formidable and versatile composer.” It is amazing that we are approaching the 70th Anniversary of the New York Philharmonic premiere of Ulysses Kay’s first major work Of New Horizons: Overture at what was then West Harlem’s stunning Lewisohn Stadium which is now the cite of City College of New York’s North Academic building. This entry was posted in News & Events and tagged African-American Composers, Music, Rare Book and Manuscript Library on October 18, 2013 by cl880. 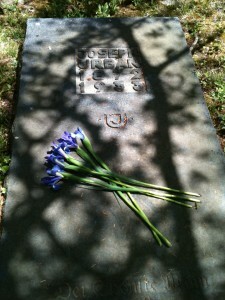 Taking advantage of the fine spring weather last week, I visited Sleepy Hollow Cemetery to find the grave of Joseph Urban. While he is not as well remembered today as many others who are buried there, he is listed on the cemetery’s published map of important grave sites. Buried very nearby to the right, in a small grove of mountain laurel with no marker, is Urban’s colleague, architect Raymond Hood (1881-1934) who attended Urban’s funeral service in the Sleepy Hollow Chapel. 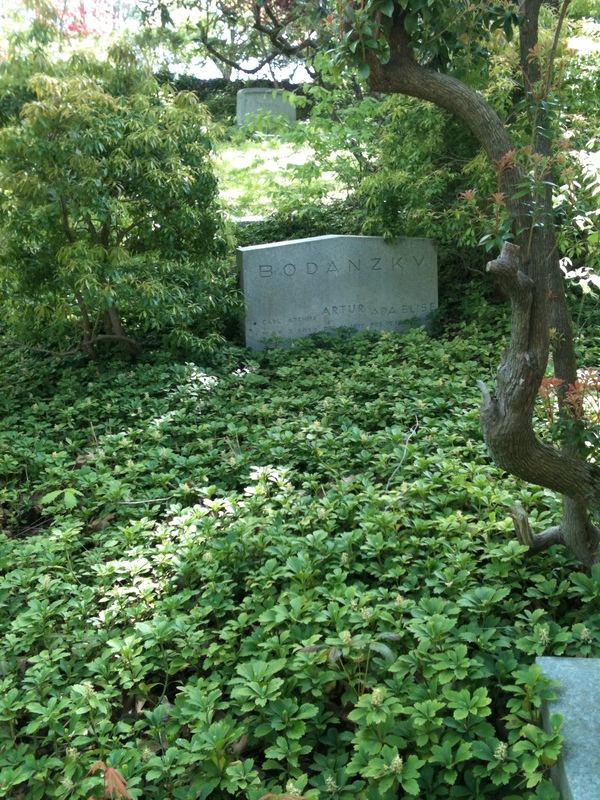 Further to the right on the same road is the grave of Artur Bodanzky (1877-1939), conductor at the Metropolitan Opera for 24 years. Bodanzky conducted 21 of the 55 Met productions with set designs created by Urban, including the production of Wagner’s Parsifal that debuted in 1920, Ernst Krenek’s Jonny Spielt Auf that debuted in 1929, and Richard Strauss’s Elektra that debuted in 1932. The graves of many others whose papers are held by the Rare Book and Manuscript Library can be found in the Sleepy Hollow Cemetery, including those of Andrew Carnegie, Mary and Albert Lasker, and Oswald Garrison Villard. Frederick Philipse is represented in RBML by some early records of the Philipse Family. Raymond Hood’s papers are held by the Avery Architectural and Fine Arts Library. This entry was posted in Uncategorized and tagged Music, Opera on May 13, 2013 by Jennifer Lee. 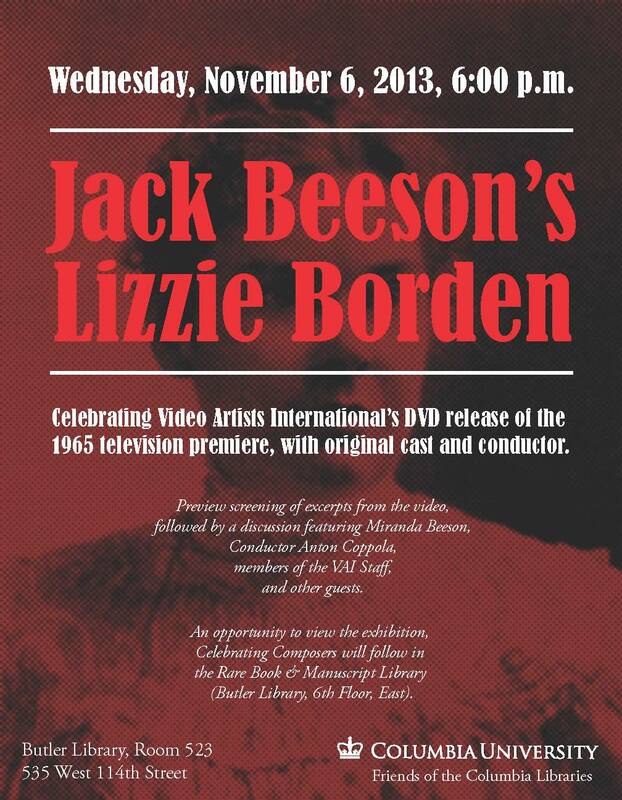 Today, July 15, 2010, would have been Jack Beeson’s 89th birthday. 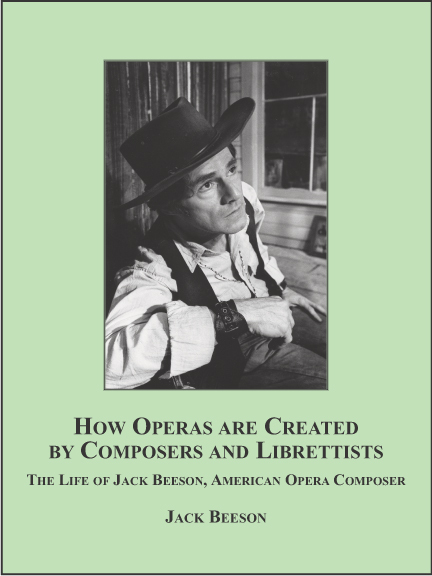 We celebrate his prolific output and prodigious memory by heartily recommending his autobiography, what he called "The Book," How Operas are Created by Composers and Librettists: The Life of Jack Beeson, American Opera Composer, published by The Edwin Mellen Press in 2008. Jack died suddenly on Sunday, June 6, having recently completed a new piece entitled "Kilroy Was Here," a setting of selections from two Peter Viereck poems for baritone and piano, and having chaired a meeting of the Alice M. Ditson Fund two days before. "The Book" is full of personal observations and stories of the people that he knew, being, in short, everybody. He was one of perhaps two people to have taken composition lessons from Bela Bartók, accompanied Claudio Arrau on out-of-the-way antiqueing excursions in Rome, and was directly responsible for Columbia’s launching of a doctor of musical arts degree in composition. On teaching music appreciation, the now required Music Humanities course, part of Columbia’s celebrated Core Curriculum, he writes in How Operas are Created: "More than once during the [years teaching these courses] … I had occasion to remember and re-read the ten pages Virgil Thomson devoted to the subject of the "appreciation racket" in his 1940 book, The State of Music. … Virgil, in a fine fury, argued that those teaching (or as he also said, "preaching") the subject using as examples the fifty masterpieces … were but cogs in the publicity machines of record and radio corporations and symphony orchestras … That we succeeded in introducing at least some students to what they had so far missed, had come to enjoy, and thereafter taken much pleasure in, is certainly the case: time after time, in New York and more often elsewhere a seeming stranger approaches, introduces himself as one of my former Humanities students, and says so fervently." This entry was posted in Uncategorized and tagged Music, Opera on July 15, 2010 by Jennifer Lee. Thanks to the great work of Mellon Project Archival Processor Anne Holt, Columbia GSAS 2013, the papers of Harry Lawrence Freeman have now been processed and are available for use by researchers. The collection provides a wide range of materials related to American opera and to the artistic performance and social history of African-Americans from about 1890-1950. 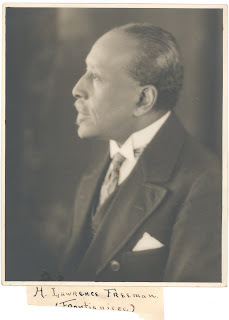 Freeman is credited as being the first African-American to write an opera that was successfully produced. This was his Epthelia, that premiered at the Deutsches Theater in Denver on February 9, 1893 with a cast of 60. His second opera, The Martyr premiered there on August 16, 1893, and was performed with an inter-racial cast at Carnegie Hall in 1947, the composer conducting. As part of the Carnegie Hall Festival Honor! 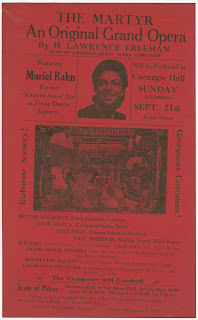 A Celebration of the African American Cultural Legacy this spring, curated by Jessye Norman, the piano/vocal score of The Martyr from the Freeman Papers is on display in Carnegie Hall’s Rose Museum. Freeman’s entry in Wikipedia states “Although many of his works were successful during his lifetime, they are not played today.” The reason for this is that his works were performed from the manuscripts, now at Columbia, and only a very few have been published. 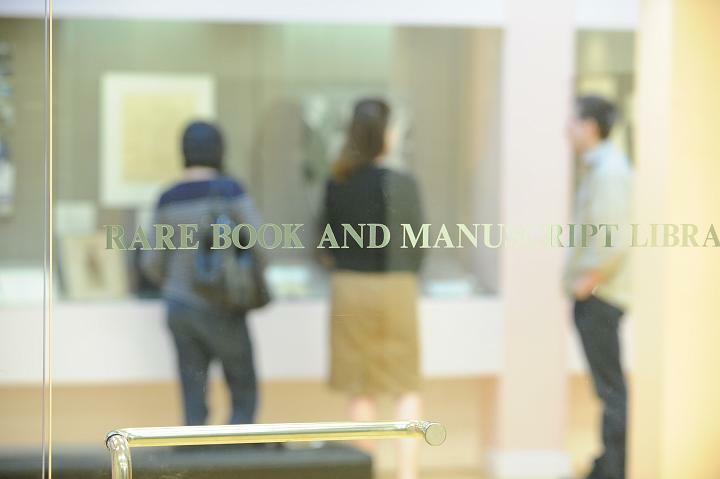 We hope to change this by finding sponsors to fund transfer of the manuscripts to performance copies. This entry was posted in Uncategorized and tagged African-American Composers, Music, Opera on May 16, 2009 by cl880.